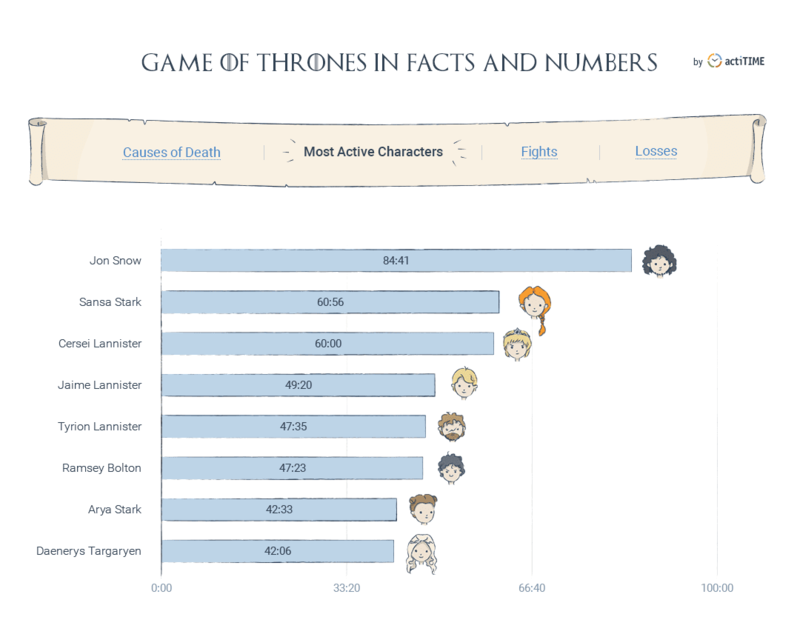 What if TV show characters used timesheets? Maybe they’d spend their time more wisely and get more of their show things done. Besides, we could look at their timesheets and see what they really care about, or why one party won and another one lost, or know why the whole story turned out to be a success or a disaster. Sounds interesting, right? The result is a timesheet that shows (down to a second!) 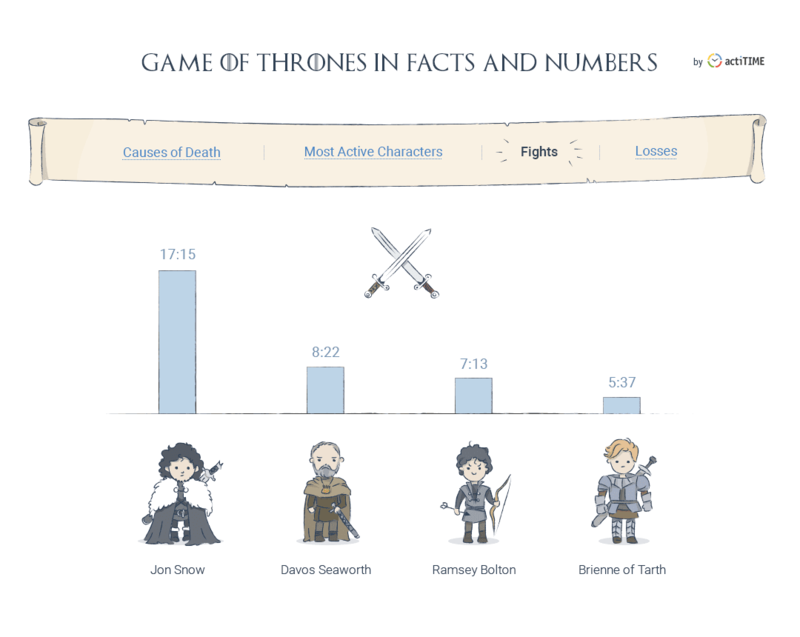 how much time of each episode your favorite characters spent fighting, mourning, hatching murderous plots, and other exciting stuff. What a great way to refresh your memory of the past events just in time for the upcoming new season (you’re welcome)! WHO WILL END UP SITTING ON THE IRON THRONE? 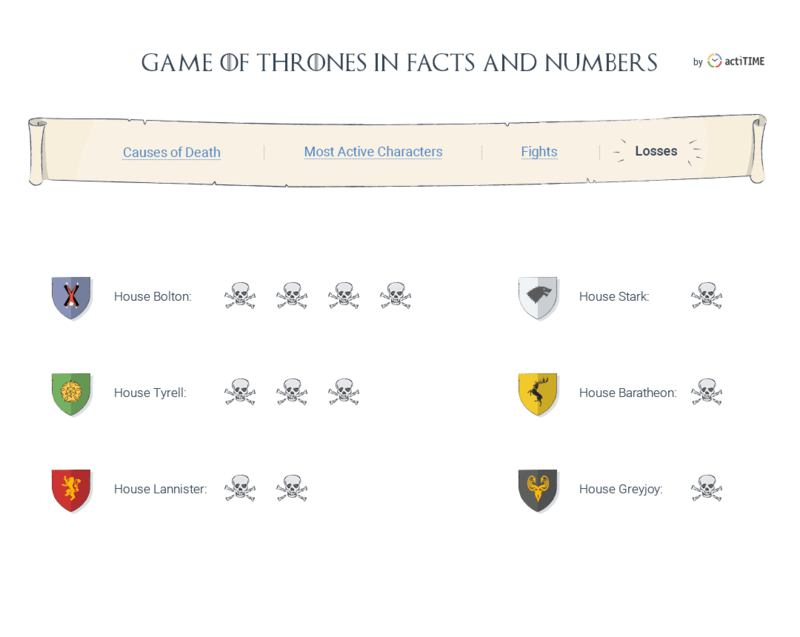 Bronn is gonna win The Game of Thrones. @mandraquex3000, the bubbles above the character timesheets show the time spent by the whole family on certain activities. The various bubbles above the time character time sheet... are the times for the whole family across just season 6? 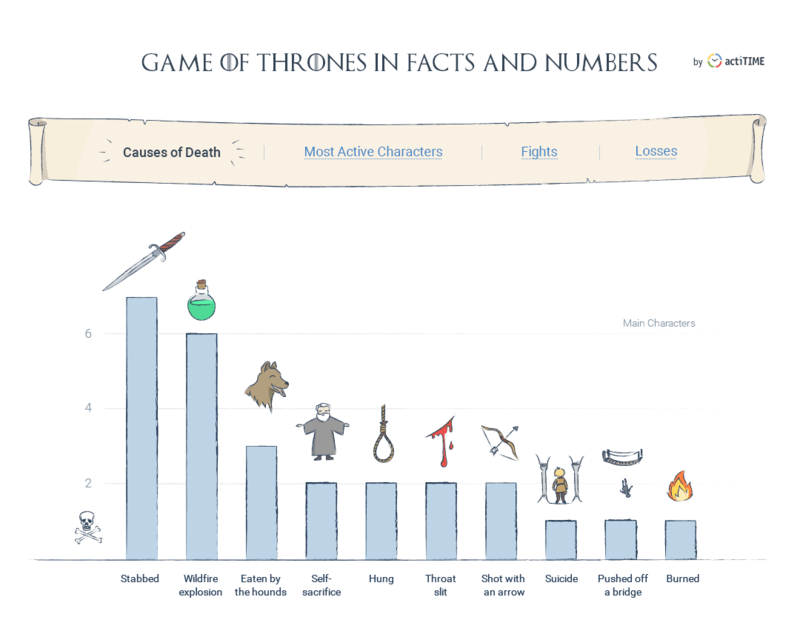 Great infographic btw! Thank you! It really helped to remember what happened in the 6th season. WOW! That's a lot of work! Cool! Can't wait to see timesheets of the next houses! Nice! I bet Arya will sit on the iron throne. You should add her to the vote.